Like them I do. Great quality maps. Fantastic job. The more map and map creators the better. Any chance you are working on a Tantive IV map? Tantive IV? Maybe... I will think about it. It's not an easy map. Very nice indeed! Would love to get the Florrum map to do some custom scenario action going. Where might one be able to aquire these maps? here you will find the links. Hope this time will go well. The list is soooo long, but I'm on it. I like KOTOR very much too, so there is a chance to make other maps from them. My god that's it! WOW! Totally loving it! Thank you. If I could make one suggestion, the middle passage on the right could use some signs of forced imperial entry, like scorch marks. You've found out what was on my mind too! I've tried to make some scorch traces but I'm not quite satisfied with the result yet. When it will successful, I will put here the alternate version of the map! 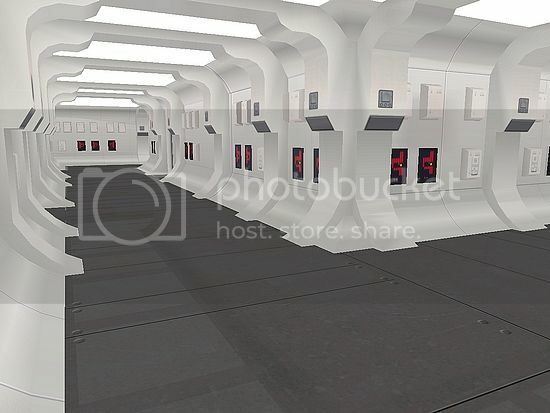 Second suggestion, add bulkheads to the passageways to add visual interest and possibly to provide some cover.